All blends are created using 100% organic Jojoba oil, which most closely mimics oils produced by skin and hair. 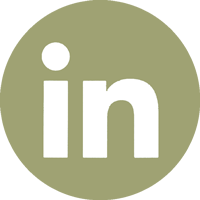 I use only non-GMO and organic oils which have been sourced through eco-friendly means. All blends have been approved by a certified aromatherapist. 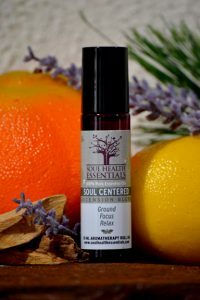 Soul Centered is my “signature” Soul Health Essentials oil, designed specifically to facilitate your conscious evolution. This blend of 100% pure essential oils assists in helping to you to become more centered, “grounded”, focused, and relaxed so you can better align your life for radiant living. Most of us struggle to settle down and reflect on what we need to do to help us evolve. This blend will help you to better access your soul’s inner wisdom so that it can guide you on your ultimate life path. Made with the essences of Palo Santo (to combat negative energy and “ground” you), Spruce (to calm you and relieve stress/anxiety), a blend of Citrus (promotes focus and positive energy), and Lavender (relaxes you and balances your mood), this blend is sure to both heighten your awareness and center your soul. Soul-Centered will not only ground and focus you, it will also relax and balance you for an easier soul health journey. Are you undergoing transition, change, or grief? 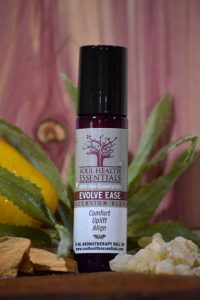 Evolve-Ease was created to “ease” your soul as it transforms and evolves through the many challenges of the human condition. This blend holds comforting and uplifting qualities that assist you in realigning your life as you overcome life’s trials and tribulations—whether chosen or unexpected. Made with Cedar (to both elevate mood and relax you), Frankincense (to help remove negative energyand “ground” you), Sandalwood (to calm the anxious mind and to soothe distress), Grapefruit (which relieves sadness, depression and stress), Lemon (a spiritual cleanser that assists in focus, clarity and improvement of energy) and Vetiver (a deeply grounding and calming oil that relieves burnout and exhaustion). Your personal growth is both inevitable and infinite. 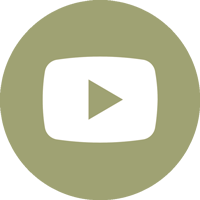 Evolve-Ease with help to “ease” you on your evolutionary journey. Do you need to soothe your soul? Endless experiences within the human condition leave us feeling frazzled and frayed, both emotionally and physically. This blend was created to help “smoothe the rough edges”, while calming and soothing your soul as you learn and grow. A mixture of Orange (to relieve emotional and physical fatigue that accompanies both stressful events and change), Rose (to soothe you energetically while opening your heart and soul to overcome fear and stress), Jasmine (which improves inner support and strength and boosts you when feeling alone or rejected), Bergamot (to improve sense of self, self-worth, and acceptance), Chamomile (to calm the nervous system, and relax you during life’s transitions), Sandalwood (an oil that “grounds” you and calms the anxious mind), and Lavender (the ultimate soothing and calming oil that assists in overcoming depression and prolonged sadness, while inducing a sense of harmony). 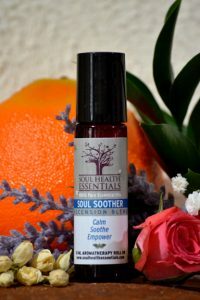 Soul Soother is you key to calming any challenge you may face within the human condition. Do you need to shed your “karmic residue”—release old patterns, beliefs, behaviors, and energies? If so, this blend will help you say goodbye to whatever no longer serves you, renew your outlook and energy, and restore your soul for optimal living. Made with Cypress (to purify you and the surrounding energies), Frankincense (powerful in removing negavity both inside and around you), Grapefruit (to help you focus while relieving stress, anxiety, and depression), Peppermint (which assists in relieving tension and negative energy, while refreshening your senses), Sage (used for thousands of years to cleanse and heal, while neurtalizing your energy field), Lemon (a “psychic cleanser” that helps you focus, while preparing you for new beginnings), and Lavender (known for it’s soothing and calming qualities). In order to evolve into something new, we must evolve beyond that which no longer serves us. 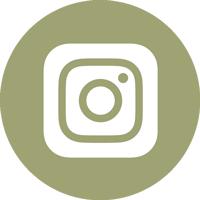 Our evolution requires us to “make room” for what we want to create and invite into our lives, and Karma Klear will clear the way for our infinite growth. The key to evolving beyond the challenges of the human condition is to learn to love ourselves enough to do it. Whether you struggle with negative self-talk, low self-esteem, poor body image, or any other “human” challenge, you likely need some assistance in learning to love the most important part of you—your soul. 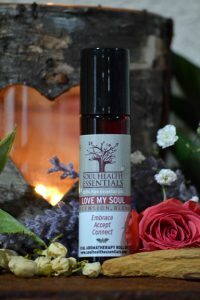 Love My Soul was created specifically to assist you in turning your affection inward to really embrace who you are, accept yourself in all ways, and connect you with your inner wisdom and the essence of who you are. Included in this blend is Rose (the scent most associated with love), Jasmine (an oil that promotes relaxation and “warm” feelings toward yourself), Sandalwood (which both grounds you and enhances mood overall), Bergamot (a gently calming and uplifting scent for clarification and healing), and Ylang Ylang (a warm floral scent that helps to relieve restlessness and tension, while improving connections with self and others). Love My Soul will help you ease and facilitate your evolution by learning to love yourself and your innermost ally! 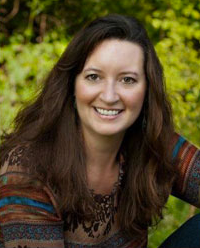 Are you ready to awaken to your endless wisdom and get to know your innermost ally? Awake My Soul will help to center yourself, stimulate your senses, and energize body, mind, and soul. 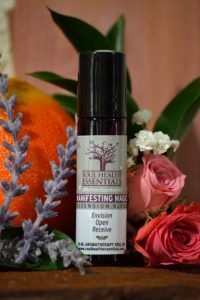 A powerful blend, this “Ascension Oil” was designed to both awaken and ground you to better access your divine truth, while connecting you with spirit and source. A combination of Cedar (a deeply grounding oil that assists in connecting you with the deepest part of yourself), a Citrus blend (to promote focus and energy as you gain clarity), Peppermint (an intense scent that stimulates the senses, enhances alertness and stamina), Rosemary (to boost enlightenment, while inviting a sense of peace), Lavender (to facilitate deep meditation while balancing and stabilizing your sense of self), Ylang Ylang (to calm any worries associated with accessing your inner wisdom), Patchouli (a deeply grounding and spiritual oil), and Palo Santo (another powerful and “grounding” oil that also deepens spiritual awareness). As you awaken your senses with Awake My Soul, you also awaken your inner wisdom. Would you like help in envisioning your optimal life, opening to infinite opportunities, and receiving all that is rightfully yours? Manifesting Magic was developed to help you more easily envision the next steps of your evolution, while opening your mind and soul to receive the many gifts that life has to offer. The “magic” of the blend is the fact that it assists you in accessing your inner wisdom in order to create an amazing and fulfilling life. 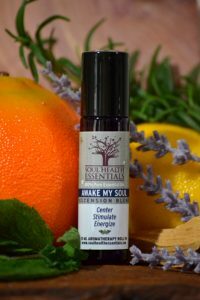 Several manifestation-based oils have been blended to create this “magical” mix, including Cedar (to ground and calm you as you make develop a stronger spiritual connection), Orange (which promotes peace and harmony, while increasing creativity), Rose (to soothe you as you open your heart and soul to guide you toward your optimal life), Bergamot (which uplifts and fulfills you on your manifesting journey), and Lavender (an oil that balances and harmonizes you with self and source). Manifesting Magic is a perfect ally when starting new projects, envisioning the next steps of your evolution, and learning that you are worthy to receive your deepest desires. Our ability to find our truth and keep it is one of the biggest challenges of the human condition since so much exists to misalign us from our sacred path. 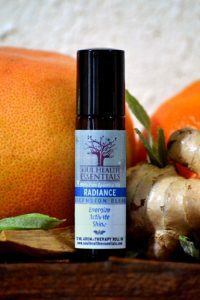 Radiance was created to assist you in discovering the essence of who you are while providing you with the support to allow your true self to fully shine! This blend uses Ginger (zingiber officinale), an oil that is particularly helpful in stimulating your solar plexus chakra—the center of personal power and truth, Grapefruit (citrus paradisi), and Tangerine (ciyrus reticulata) —which boost energy, clarity and focus, Vetiver (vetiveria zizanionides) to center and ground you in your personal truth, Spikenard (nardostachys jatamansi) to strengthen your overall sense of self, and Sandalwood (samtalum paniculatum), which holds deeply grounding properties. Radiance aligns you with your inner ally through its energizing and activating qualities, while helping your soul shine in all aspects of life. Soul health requires us to know ourselves at the deepest level, while allowing ourselves to align our lives for our highest good. This oil assists you in that evolutionary process. res us to connect with both our inner ally and the wisdom provided by source. Divine Wisdom heightens your awareness, instills insight, and promotes your ultimate evolution by assisting you in accessing the sacred knowledge necessary to create your most optimal life. As you align your soul with inspired information, our evolutionary path is paved with golden light. 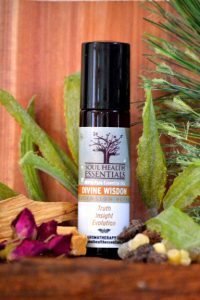 Divine Wisdom is blended with Palo Santo, a deeply spiritual tree essence that connects your soul with spirit, Cedar (cedrus atlantica), a grounding tree essence that brings you peace, Frankincense (boswellia carterii) and Myrrh (commiphora myrrhaboth) used in age-old spiritual traditions and also used to stimulate the crown chakra, Sandalwood (samtalum paniculatum), a powerful, grounding tree essence, and Rose (rosa damascene), an oil that soothes the crown chakra during the evolutionary process. If you seek your ultimate truth, purpose, and path, Divine Wisdom may be the tool you need to align your life for radiant living. 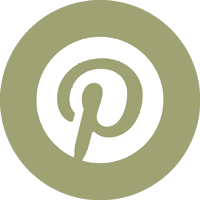 Do you want to sharpen your intuition? 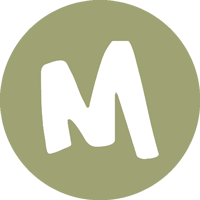 Feel more connected with source? 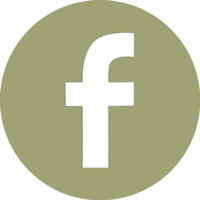 Access and embrace sacred truth? 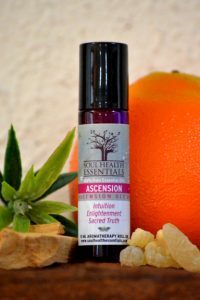 The Ascension blend helps you reach new heights in your spiritual and soul development. This oil was designed to “tune” your inner ally into source energy, while opening your awareness to all dimensions of sacred truth. Included in the blend is Rosemary (rosmarinus officinalis), an oil known for assisting in enlightenment, Palo Santo (bursera graveolens), a deeply spiritual oil that connects you with source, Frankincense (boswellia carterii),an oil that protects and grounds you, Spikenard (nardostachys jatamansi) to strengthen your sense of self, Angelica (angelica archangelica), another divinely protective oil, Bergamot (citrus bergamia) to uplift and fulfill you in your process, and Sandalwood (samtalum paniculatum) to keep you grounded and centered as your awareness expands. Meditating with this blend will enhance your connection with both soul and source as your awareness ascends the path to evolution. Are you a “sensitive soul” who feels exhausted and overwhelmed by other people’s energy? Do you absorb their stress and despair? If so, you’re not alone. Empath’s Armor was created to shield and protect you from energetic residue that attaches after spending time in the presence of others. This protective blend is helpful for those who work and live among those who rely on you to carry their karmic baggage. Unwanted “soul static” can bog you down and misalign your path to evolution, but this oil frees you and realigns your life for optimal living. 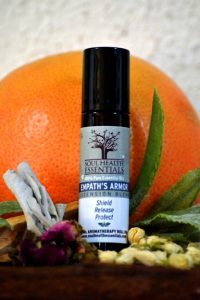 This powerful and protective blend is made from several sacred oils – Palo Santo (bursera graveolens), a South American tree essence known for its protective qualities, Sage (salvia lavandulifolia), an herb used by North American Natives to release unwanted energy, Angelica (angelica archangelica), a powerful herb used for protection, empowerment, and release, Grapefruit (citrus paradisi) to relieve stress and tension while enlivening you, Rose (rosa damascena), a soothing oil that promotes self-love and nurturance, and Jasmine (jasminum grandiflorum), an oil that connects you with your inner self, while enveloping you in its soul-warming essence. Empath’s Armor allows you to release undesirable energy and surround yourself with your own radiant light. 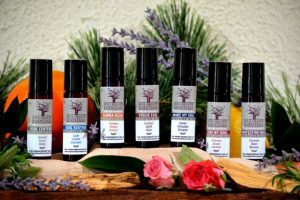 Would you like to own all of the blends of the Ascension Oils Set? You will receive a 10 ml. 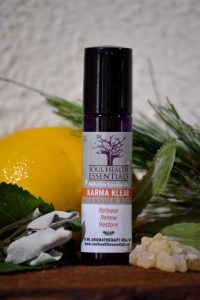 bottle of each of the Soul Health Essentials blends: Soul Centered, Evolve Ease, Soul Soother, Karma Klear, Love My Soul, Awake My Soul, and Manifesting Magic. The Ascension Oils Set puts you on the perfect path to both radiant living and to your soul’s evolution.